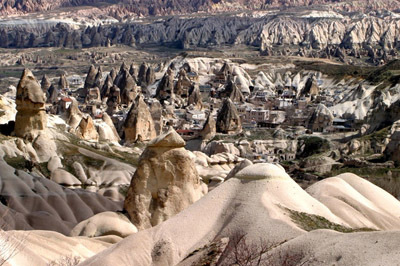 Cappadocia is located in Nevsehir Province, in the middle of Turkey, and is 200 km long and 400 km wide. 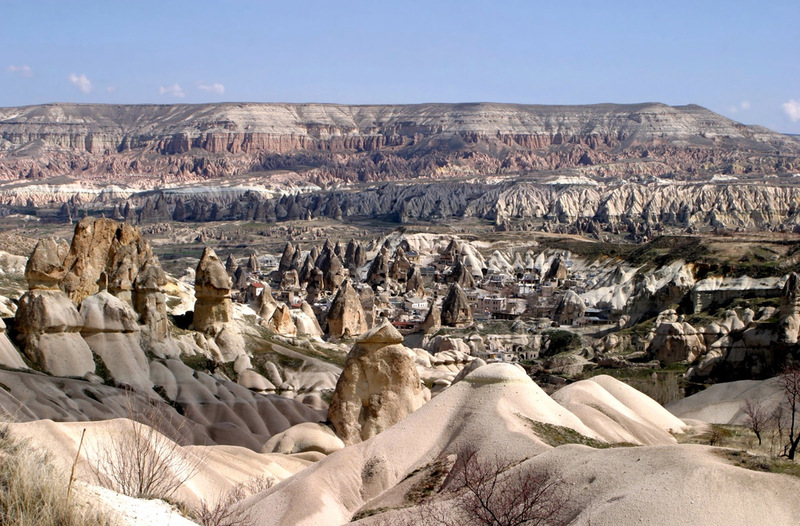 Almost three to four million years ago there was a volcanic eruption that shook the Central Anatolian Plateau and wiped everything from the land. This site is becoming a favorite tourist spot because of its rocky terrain, unique culture and history. Due to high sweeping winds, Cappadocia has interesting natural rock formations such as: inverted cones, chimneys and mushrooms. The people of the area cut into the soft rocks to create buildings. Cappadocia has many underground cities, churches and a beautiful landscape. Currently, there are more than fifty churches in this valley. The name Cappadocia came from Persia and means “the land of fine horses.” It is believed that during the medieval period this area was used to breed animals. Cappadocia still has indigenous people that live there. Some of the areas have fallen under a conservation policy requiring that new houses be constructed out of stone to maintain the uniqueness and style of the region. I highly recommend the sunrise balloon ride over Goreme. It was the highlight of our trip to Turkey! I like to sit on top of the pointy mountain.